Looking for the best 2018 Black Friday & Cyber Monday Canon EOS 6D deals, sales, rebates and specials? Here is the buying guide for you! Offering 20.2MP Full-Frame CMOS Sensor, very good image quality, full HD 1080p video, impressive high-ISO performance, class-leading low-light autofocus ability as well as impressive built-in Wi-Fi and GPS, the Canon EOS 6D DSLR camera is an entire professional photography studio, and it is the world’s lightest full-frame DSLR and one of the most affordable full-frame DSLR camera in the world. In addition, the Canon EOS 6D achieved an excellent 83% overall score and Silver Award from the experts at DPReview. Really excellent camera! So, if you are interested, just get it this holiday shopping season! 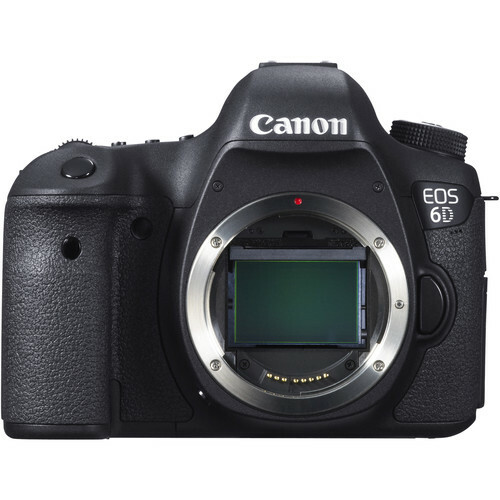 $700 off on Canon EOS 6D body: $999 at Amazon, B&H, Adorama. $600 off on Canon EOS 6D with 24-105mm f/3.5-5.6 STM Lens: $1,499 at Amazon. $600 off on Canon EOS 6D with 24-105mm f/4L USM Lens: $1,699 at Amazon. Read more: Canon EOS 6D Mark II Black Friday Deals 2018 and Canon Black Friday Deals 2018.